What are those voluptuously round, green spheres dangling from the large-leafed trees along the streets of Los Angeles? 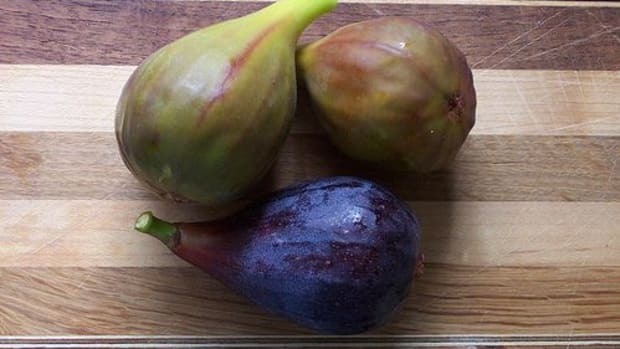 They look like fresh figs, but are they? 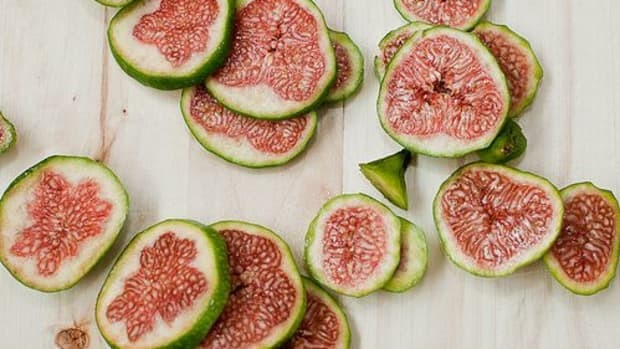 If the round, green spheres you’re seeing at this time of year are the same ones I’m seeing (and I bet that they are), you are indeed looking at fresh figs. And they are incredible. Once ripe, pluck these gems before they go out of season, and save yourself a bundle on an expensive delicacy while foraging them from an urban oasis. Figs have been a fanciful treat for thousands upon thousands of years. They don’t grow prolifically or widespread like many other fruits, and they are incredibly fragile to store fresh and ship. 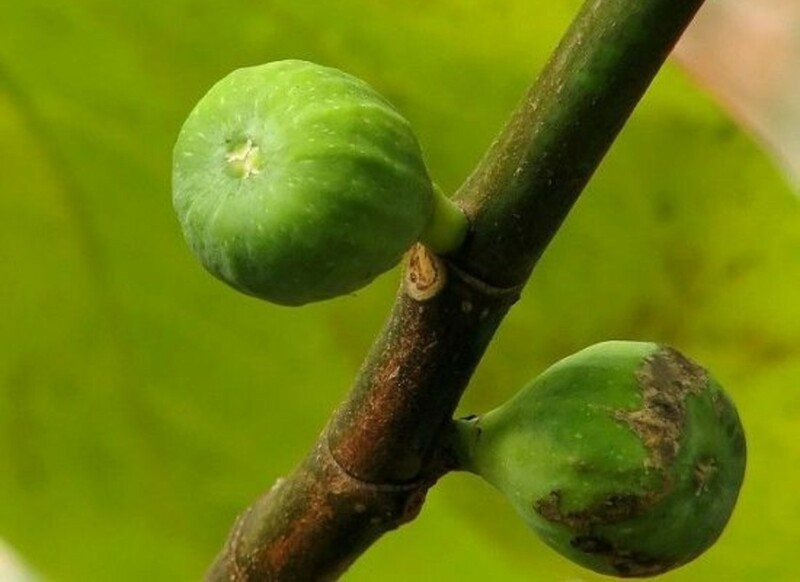 For this reason, the fig has been idolized by human civilizations since as early as 9000 BC. It’s even thought to be the world’s first domesticated plant, coming before even wheat or barley. Hailed as a fruit of holiness, sexuality and all things regal, the fig has earned its high price tag at the farmers market. 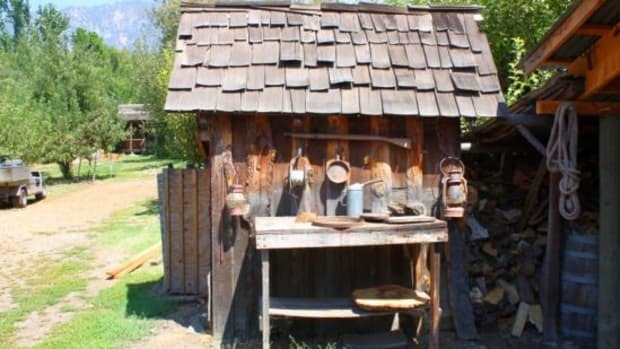 Here in Los Angeles, we are blessed to be surrounded by a number of wild fruits, vegetables and herbs year-round. Popping up this month, we have the arrival of the California green fig: the kadota fig. Heard of the kadota? Maybe not. But perhaps you’ve heard of its claim to fame, the Fig Newton? That’s right, kadota is the delicious fig used as the filling in these world-famous snack bars. 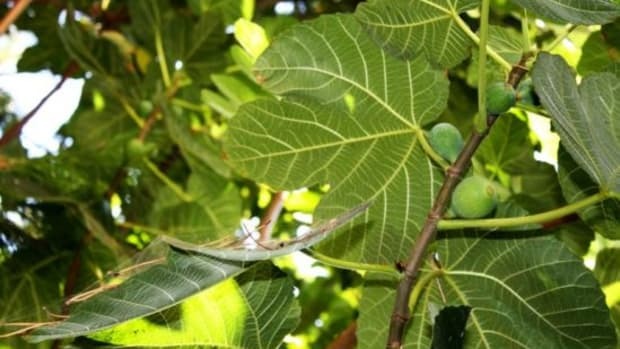 The kadota fig is green, and, unlike its cousins Black Mission or Brown Turkey, does not turn purple or brown when ripe. Instead, you can tell they’re ready to come off the tree when they sag on the branch, hanging a bit droopy and heavy. Reach for a ripe one, and it should come off with hardly any give. 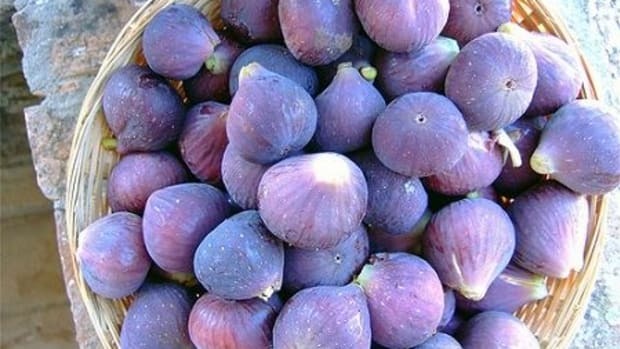 Take figs only when ripe, as they will not ripen any more once plucked and sitting on your kitchen counter. So now you’ve got a handful of swollen, bulbous figs back at home, and you’re wondering what the heck to do with them. Don’t worry; this is a wonderful predicament to be in. Figs are high in natural sugars (as well as fiber, calcium and trace minerals), so they lend themselves very well to caramelization. Roasting, searing, broiling or grilling will all give your figs an incredibly oozy, luscious quality when cooked. When used fresh, they are quite soft and moisture-rich, lending themselves extremely well to baked recipes; add them to muffin, scone or even pancake batters for fool-proof results. 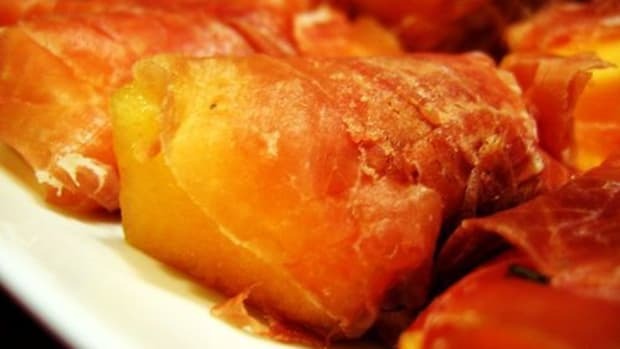 And since figs are so sweet with autumnal, earthy undertones, they pair impeccably with pork and game meats: Prosciutto, pancetta, ham, bacon, duck and venison. Add hardy fall herbs and flavors, like rosemary, thyme and cheeses. Or go the late summer route and add fresh basil, tomatoes and soft cheese. Use seasonal ingredients as your guide to food pairing with fall figs. That being said, always keep it simple with fresh figs. They are delicate creatures with insane flavor and aroma, so don’t insult them by muddling them up with too many ingredients. A single meat, a single herb, a single cheese. A good fig will sing; let it. 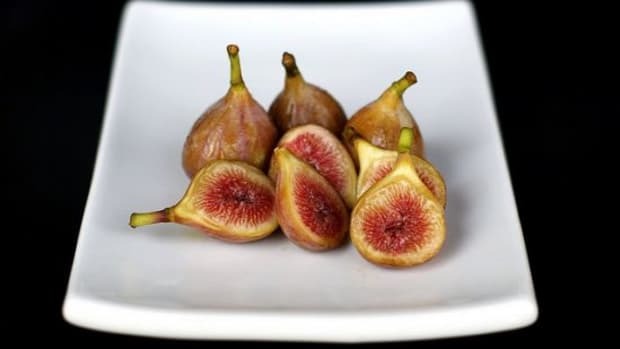 Depending on whether you have just a few figs (as the ones growing outside my apartment grow in short spurts) or a whole bundle of them (if you actually own several fig trees or buy them at the farmers market), you want to use your figs wisely. Here’s how to best use your figs depending on your loot.